Optimizing your business for a mobile world is as important as ever. It’s projected that in 2017 over a third of the world’s population will own a smartphone while in Ireland 86% of the population already has access to one. Smartphone adoption figures like these highlight why mobile is the dominant channel for many businesses wishing to win and retain customers. Therefore one of the first steps when looking to improve the online presence of your business or organisation should be to mobilize your website. The term “Responsive Design” was coined by Ethan Marcotte back in 2010 and it quickly gained traction as a cost-effective way to modernize your website for each device size. Today the responsive approach to web design is integral to many mobile marketing strategies, and has been widely attributed with vast leaps in customer-friendly user experience and a dramatic up-tick in SEO performance and site conversions for visitors on mobile devices. On the flip-side, a poorly implemented responsive site can be slow and clunky, but only if it the correct techniques are not followed (UXPin). However a slick responsive site with correctly optimized images is a joy to behold. So moving on to native mobile apps – what are they and how can they help your business? 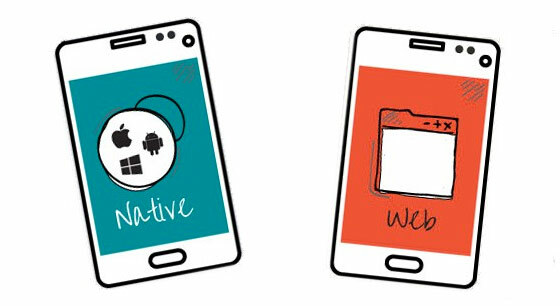 What Are Native Mobile Apps? Ever since the release of The App Store by Apple in 2008, the demand for native mobile apps surpassed all expectations. Today an estimated 2.2 million apps are now available on the App Store while 2.6 million apps can be found on Google Play. What makes these apps very different to a mobile website is that they are developed specifically for one platform, and can take full advantage of all your smartphone device features. These features can include the device camera, GPS, accelerometer, compass, contact list and fingerprint scanning. Native apps can also use the device’s notification system with capabilities of working offline. When considering a native mobile app for your business you should define the objectives for the app. Objectives might include improving customer service, enhancing your loyalty program or improving internal communications. Your app should have a specific function that cannot effectively be accomplished on your responsive site. Transactions on native mobile apps are completed 120% more for retailers than on mobile websites. This figure is significantly higher due to the experience a native app can provide for the customer while minimising distractions often provided by a web browser. Industries that can benefit: retail and travel. 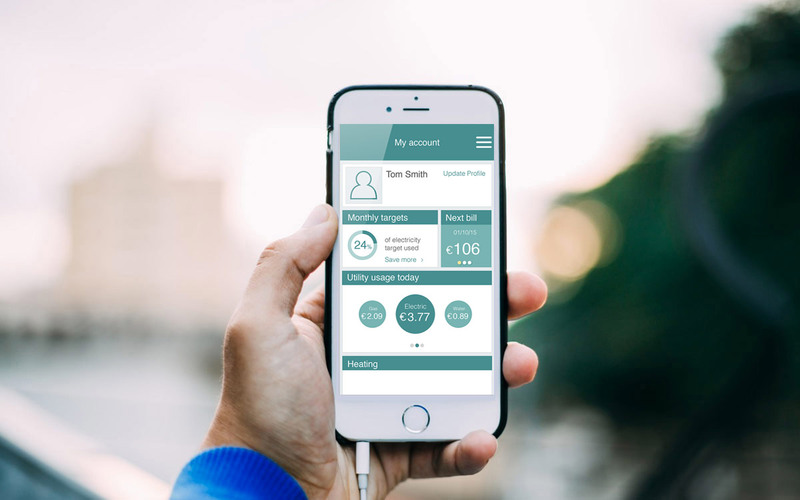 Loyalty programs can also be integrated into the platform offering points to customers who show the app at any location thus eliminating the need to carry a physical loyalty card, further enhancing the shopping experience for the customer. Industries that can benefit: retail and restaurant. Customers who have your native app installed can be sent discounts, coupons and special offers using push notifications. Furthermore a business can use geo-targeting (GPS) to send time and location sensitive messages to customers who are close to one of their locations. Apps that are successful here can yield many benefits, as Arnotts saw with their Christmas Gift App for daily coupons. Industries that can benefit: retail, travel and telecommunications. People don’t like to have to work for their information. A native mobile app will allow your customer base to easily find information on your company or products. With additional self service options customers can manage their accounts and even pay bills as necessary. Such features can also help reduce the need for a customer to contact the call center of a business. 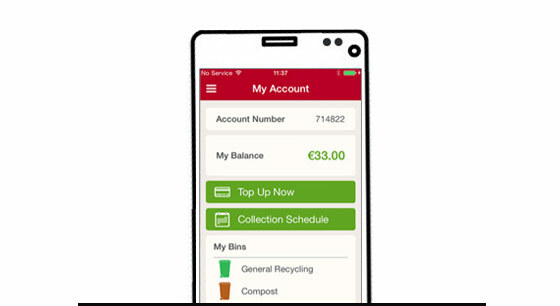 A great example of this type of app is the Thornton Recycling self-service app which provides customers with the ability to top up and manage their accounts while also receiving notifications regarding service days. Industries that can benefit: telecommunications, banking & finance, utilities and renewable & environment. Internal business communications is an ideal area to look at for mobile efficiencies, empower employees to work away from their desk and make repeatable processes as easy and accessible as possible. These could include field service communications, reports and safety checks, holiday requests, expense submissions and training guides. All industries with businesses that use paper-based processes, an intranet or other back-end systems for communication and reports will benefit here. Once you’re familiar with the relative benefits of mobile responsive sites and native apps it becomes clear that they are not mutually exclusive so a two-pronged approach often makes the most sense. Where a responsive website excels is in customer discovery and information, whilst a native app can excel in many areas such as customer account management and loyalty, as well as mobile business communications and internal reporting. In the end, the key takeaway is that each channel can fulfill different but complementary objectives based on your specific business needs.